Candy, cake and ice cream OH MY! 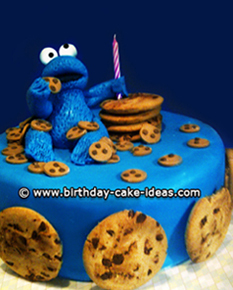 These kids birthday cake ideas are full of them all. There is nothing more exciting at a kid's birthday party than the fun cake that is against all of the everyday rules. This is the one time that kid's are allowed to scarf down all the sugar they want (well, for the most part). Loud, silly and the center of attention, make his birthday cake just like him! From a simple sheet cake design to the more extravagant multi-layered and multi-filled cakes, kids birthday cakes are the most rewarding of cakes to make. To see the smile on a child's face over a cake you made especially for them. Kid's birthday parties are full of festivities but the cake is one of the biggest "to-dos" on the list. Whether you are a beginner or a more seasoned confectioner, kids are your best customer. They genuinely enjoy the ideas behind your cakes and could care less about critiquing them until there is nothing left to it. They just want yummy and fun! 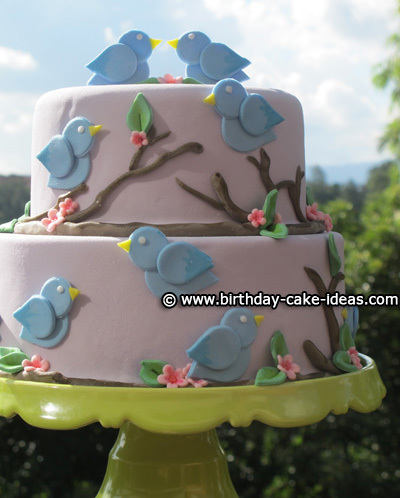 For kids birthday cakes, it is best to keep fillings and cake flavors as traditional as possible. Kids may like the yummy and creative flavors of cake and fillings however, it is best to stick to what you know. Chocolate, vanilla, swirl and strawberry are great flavors for a child's birthday cake. Many kids will look away from something that looks a bit complicated and unfamiliar. Keep them enticed with flavors they know. Kids birthday cakes would seem to be the easier to design and decorate however, kids also change their minds about what they like so quickly. I find it best to decide on my kid's birthday cake roughly a week or two in advance. This ensures enough time for planning and execution of my masterpiece. 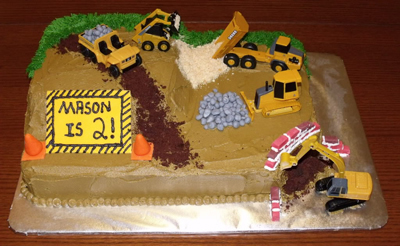 When starting on your cake, ensure enough time to change details, etc. I am horrible when it comes to starting something and changing my layout right in the middle of it. It is ok to do just be sure to give yourself enough time. 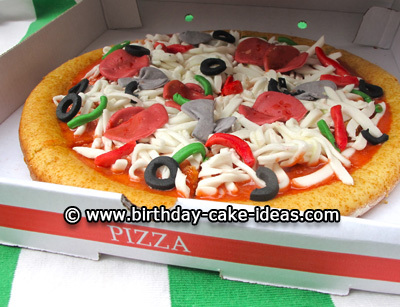 Kid's birthday cakes are typically designed as shaped cakes and character cakes. 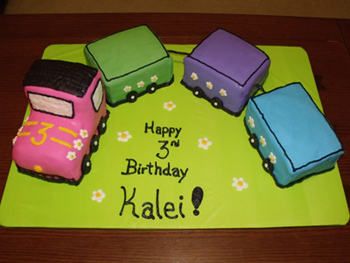 You can create the ultimate train shaped cake or a fabulous Dora character cake. Each is started with a special cake pan designed to create the shape you are looking for. You will then use your creativity to decorate your masterpiece. Use pictures to help guide you while decorating. Most of all enjoy the entire process. What are you waiting for? Get your flour power cap on, bake and decorate!